Pucker up! A range of artisanal vinegars. Photo courtesy of Fairway Market. Our food production and commercial growing expert Alan Jackson provides a primer on the sour but oh so sweet world of vinegar. Let’s face it, Big Food processors have all but exhausted our national pantries of true product diversity. Sure, there are still plenty of choices on supermarket shelves, but most are nearly-the-same efficiently manufactured products with different labels. Case in point: vinegar, a food product with a long and glorious history that has become little more than pickle juice and a cheap condiment. Soured wines were almost as fortuitous for ancient peoples as the discovery of wine itself, and while not understanding the processes involved in the production of vinegar, our ancestors knew it could be produced by leaving a space in the barrel for fresh air and adding a bit of old to the new. This reserved starter batch, known historically as the “mother,” is a slimy grouping of the fungus Mycoderma aceti and any member of bacteria family called Acetobacter, which together are capable of pirating a yeasty fermenting barrel of wine and turning its build-up of ethyl alcohol into class-A vinegar. When 16th-century Portuguese sailors began their global trade in spices, many of the barrels of wine brought along to sustain the officers and crew would sour into vinegar and become trade goods that eventually caused local imitators to try the “mother” on juices as diverse as sugar, coconut, guava, banana etc. Today, those copycat renditions are intrinsic to local cuisines worldwide. The exception is America, where vinegars have devolved in the national dementia of taste to become the popular product known as white vinegar, a clear 4-5 percent ascetic acid solution that is either naturally brewed from corn or simply slapped together with tap water and acid from a chemical plant. 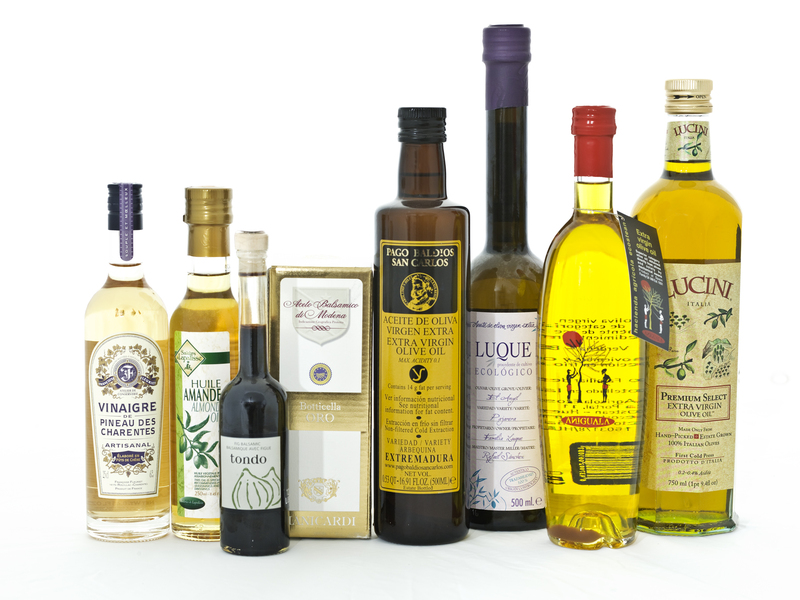 If white and clear is what you call vinegar, then a world of flavor is yours for the tasting. Barrel fermented grape wine vinegar is prepared using the Orleans process, an age-old method of producing vinegar that was fine tuned to perfection in the French city of Orleans during the 16th century. Called “the city of vinegars,” Orleans sits astride the Loire River, a historically important wine shipping route. This was a place where “piques,” kegs of wine that had begun to bite or sour, were handed off to vinegar makers who sold their products for a myriad of uses: cooking, killing ticks and fleas, cleaning, deodorizing, medicinal purposes, and even drain and glass cleaning. Parents wishing to educate their kids about the wonders of nature are advised to grow a mother of vinegar as it can reach a large size and resemble an alien creature. Two other processes exist for making vinegar: the submerged method ( how most large companies produce their product), which is simply saturating a large volume of fungus and bacteria infused wine, or any juice, with zillions of tiny air bubbles that speeds the oxidation of juices into vinegar. The other, a classical method known as Solera, is a process that mimics sherry production by employing a battery of wooden barrels and cascading the wine from top to bottom. Artisanal producers of both sherry and balsamic vinegars use this method, which hails mostly from the Italian towns of Modena and Reggio, which were forced to scramble for barrels during a decade of increased demand for real balsamic vinegar—a situation that is now sweeping across the winemaking regions of United States. But, in some parts of the world, they don’t need juice to make vinegar; they use rice or grains. Common in America, this is a colorless ferment of ethyl alcohol that after distillation is diluted with water to a 5 to 8 percent acetic acid solution. The product has many uses—culinary, laboratory and general cleaning—and is usually made from corn. Preferred in Europe, it’s made from red and white wines of varied qualities, some aged for years in wood and of excellent and interesting flavors, while others are whipped up using the trillion-bubble emersion method. America’s favorite organic vinegar, it is made from apple juice or must (the squeezings) and is usually sold unfiltered with the mother. Cider vinegar has proven anticancer properties and is a popular health drink when mixed with fruit juice. Beer is brewed from malted barley and after turning to vinegar is aged to a golden color in oak casks. The favorite condiment of fish and chip aficionados, the product is usually a concoction of ascetic acid and food coloring. An aged-to-sweetness vinegar originally produced in the Italian towns of Modena and Reggiano but now a favorite product of California boutique wineries. Balsamic vinegars are widely available, with many being cheap knockoffs made by cooking the water from wine vinegar and adding sugar. Expect to pay a pretty penny for the real McCoy. A Middle East favorite produced from dried dates. A must-have ingredient in Southeast Asian cuisine made by fermenting fresh coconut water. Generally white vinegar flavored with any number of fruits, herbs, or spices, some favorites being pomegranate and raspberry. Made from rice, wheat, millet or sorghum with the Chinese favoring a sorghum ferment laced with caramel color and sugar (the Japanese are partial toward a light rice ferment with anti-cancer properties). Popular in Asian cuisine and available in different varieties from clear to black and often sweetened with sugar. Popular in Brazil and The Philippines, where cane juice is widely available and cheap. A German specialty and similar in process and taste to malt vinegar, but with a pronounced flavor of the ale or beer used in processing. Made from sherry wine using a process similar to Balsamic, with some product aged in casks for 10 to 20 years or more. Many foodies create their own vinegars by simply infusing store-bought vinegar with their favorite herbs, vegetables or fruits—the plain white variety will start to take on the flavors in as little as 24 hours and increase in potency over a few weeks (just add the edibles of your choice to a sterilized glass bottle or jar, fill with warmed vinegar, seal, label and wait). For insight into making your own honest-to-goodness vinegar from scratch, see the weekend DIY project on Williams-Sonoma’s blog, Taste. Toronto-based Garden Variety contributing writer Alan H. Jackson offers an informed perspective on the methods, background, history and lore of food and gardening. A former food broker, greenhouse-garden center owner and golf course head gardener who has pursued rare orchids in Asia, produced bananas in South America and cultivated vanilla beans in the South Pacific, Alan has experience with everything from tropical fruit production to cold-climate vegetable farming. He is author of a dozen books, including “Beginning Gardening for Canada” (Lone Pine) and “The Canadian Food Encyclopedia” (Company’s Coming), which was published in October 2013. This entry was posted in Cooking, Food, Uncategorized and tagged balsamic vinegar, history of vinegar, homemade vinegar, how vinegar is made, making vinegar, vinegar, vinegars, white vinegar, wine vinegar. Bookmark the permalink. Mmm! Was hoping you would also address kombucha, but this was a great article, explaining things I always wondered about. Thanks! Not strictly a vinegar (actually tea fermented with a colony of yeast and bacteria), kombucha is a murky, smelly drink said to have originated in China or Japan, before spreading into Russia and beyond (though there are no historical records to support this). A darling in holistic health circles in the 1990s, when it was touted as a treatment for everything from hair loss and arthritis to immune deficiency and cancer, kombucha has re-emerged as a popular “organic” beverage and is now produced commercially by the likes of Millennium Products (makers the GT brand), Red Bull and the part-Coca-Cola-owned company, Honest Tea. Some say it’s a cure-all; others call it snake oil. Science has had nothing to say….at least not yet. Although devotees swear by its health and healing properties, there have reports of home-brewed kombucha causing upset stomach, allergic reactions and even infections, likely due to being produced in non-sterile conditions. Great summary. You have given me lots to research. Thanks!